Icing cookies does NOT have to be difficult, I’m sharing with you my fast easy way to get you cookies iced. Feel free to share with post using the share buttons at the top and bottom of this post and thanks so much for stopping by! but often they are just so time-consuming. and I decided to simplify and conquer. I just LOVE cookies and if you do too you may love THIS, THIS, and THIS too! These cookies were iced the EASY way, no piping bag. I wouldn’t have believed it myself if you would have told me so.Nope, just dipped them into the glaze icing and voila! Below you will find a VIDEO I added so you can see exactly how to do this! I’m so happy that I figured out a new way to ice cookies, especially since I had 6 dozen cookies baked and ready to be iced with an annoying pain that was preventing me from icing them. It did take me a couple of tries to get the icing correct along with the method of how to dip them and have the extra icing run off the cookies without making a complete MESS. I placed the icing in an oval dish and strapped a lollipop stick with a rubber band going under the dish attaching to each side of the stick. I love how pretty cookies are that have been piped on look! I was surprised how quickly it went, I finished dozens of cookies in a matter of minutes. I did not scrape the icing off of the cookie. I dipped the top edge of the cookies into the icing and then ran the majority of the excess of the icing off by holding the cookie about 1/4 inch away from the lollipop stick, as I moved the cookie from where I dipped it to the other side of the dish. Then I turned the cookies over onto a drying rack. After icing these, I realized if the cookies were just a little bit thicker, my fingers wouldn’t get in the icing. The cookies I did with the red icing were just a bit thicker and it worked, no icing on my fingers! 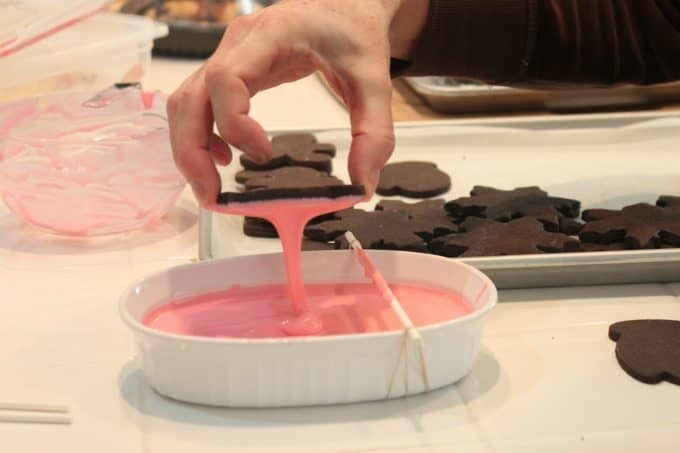 The lollipop stick helps remove the majority of the excess icing without having to wait for the excess to drip off without messing up the icing you want to remain on the cookie. It also allows for an even layer of icing to remain on the cookie, and when turning the cookies upright, no drips went over the edges of the cookies (iced in red, as that was the correct consistency of icing) the pink was too runny and ran over the edges that is why I’m showing you both. Hopefully, the photos will help you to achieve the consistency needed for smoothly finished cookies. The pink icing was the first batch I had tried to dip into icing and it was a little bit runny, so some areas ran over the edge of these Chocolate Cut-out cookies which by the way are Super-Delicious, no wonder they are called the End-All for Chocolate Cookies. I used special dark chocolate cocoa, that is why they are extra dark. The recipe if from Lilaloa. The second time I tried dipping the cookies was the red icing in the beginning of this post, I made the glaze icing a bit thicker and it worked out great. So a little trial and error or the icing allowed me to see the difference. * Cookies that are a little thicker (like the ones on top iced in red) were less messy as there was more cookie to grab onto and my fingers didn’t need to touch the icing. *How do I get red icing RED, I use Americolor Food Coloring. HERE IS A VIDEO ON ICING CONSISTENCY, this is helpful for you to see how easy is it to make the icing thicker or thinner so you have the consistency you desire most. For best results and no goofed up icing, allow the iced cookies to dry on baking sheets for 12 hours (then test once cookie with a toothpick to see that the icing is hardened). Then you can stack the cookies on a tray or wrap them up if you prefer. Keep scrolling after the recipe, there is more info on cookies below! Mix the powdered sugar along with corn syrup and water and extract until it's smooth and creamy. The glaze worked best when it's was not runny. I ran my spatula through the icing and drew a line, it took about 5 seconds for it to fill back in where I drew the line. Adjust the water so it's fluid, but not runny. Extract and food coloring are both in liquid/gel form, so adjust accordingly if you add more, you may need more powdered sugar. 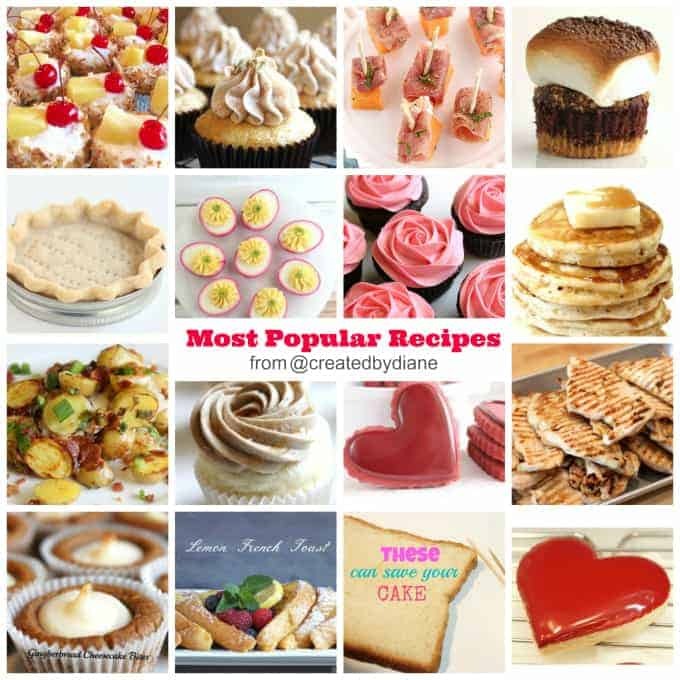 If you like this or any other recipe on Created by Diane be sure to share the post with the ones you love. You can click on the “share” buttons on the top and the bottom of each post, you can share it on social media or in an email. Thanks for being such loyal readers, I truly appreciate it! I squealed a little! This is SOOOOOOOOOOOOOOOOOOOOOO cool!!! What purpose exactly did the stick serve? If you don’t touch the stick? she wipes the excess off with the stick so it stops dripping. Thanks for this recipe. I’m making green frogs today and have to try this out. Looks like a great idea. I think you just saved my life. Genius!!!! What a great idea Diane!!! Loving it! love this idea. You just made my life a whooooole lot easier!! what a great tip Diane!! cute! I use this technique with Royal for smaller cookies, love how it’s so fast and clean. I find they dry a lot faster too. Helloo! This is a great Idea, ot would change if I do the recipe with milk instead of water? Or is it better with water? it’s best to use water, milk can leave a colored swirl in the icing as it dries milk is fine when you drizzle it over a bundt cake, but for cookies you’ll want to use water to get a pretty finish and great color from the icing. milk can alter the color of icing, I have seen it leave odd swirls of color which don’t look pretty, so that is why I use water when making the icing. ok, I’m looking your post over again………..do you pipe the outline first? then dip? what a useful time saver idea!! THANKS!! Love this method! It would make large batch icing so much easier. Thanks for the wonderful tip. Love you for doing this! LOVE YOU!!!!!!!!!!!!!! Yes!!! This will be lovingly pinned to my Pinterest “cookies” board as it will be invaluable for those times when I just get to be the “colour mixer” when the kids get to do all the “fun stuff”. Thank you so much! Thank you, glad you liked the post. Fabulous! Arthritis (in my 30s no less!) keeps me from doing as many cookies as I’d like to, so getting that base layer on without a bag would be a real pain saver! Hope your shoulder pain gets better quickly! great post! Your cookies look perfect! This is the method I learned from my mother-in-law (same glaze icing recipe too). It does go very quickly and the kids can do this one easily too. These look awesome. I can’t wait to try this method! Thanks for sharing. what is the purpose of the lollipop stick? yes that is correct Christina. It helps remove the majority of the excess icing, or you would be holding each cookie for quite some time, for it all to drip off. It also kept them looking uniform, with the same amount of icing remaining on each cookie. you don’t allow the COOKIE to touch the stick, you don’t want to wipe of clean of icing, you allow the excess icing to be gently be glided off by the stick, once you give it a try you will see it’s really not so hard. your cookies are gorgeous and great tips! Wow, that’s really cool, thanks for sharing, Diane. OK< you made this sound too easy, but I know my cookies would not look as perfect as yours! 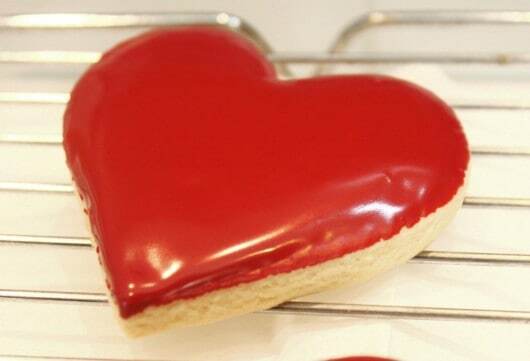 I will try your method next time I make cookies (I guess Valentine's Day is fast approaching:). Wish me luck! Lana, your cookies will look beautiful. I’m sure! Diane, that red is gorgeous! Happy early Valentine’s Day! Wow, love this method would of saved me hours when I did over 150 decorated sugar cookies. I am assuming they try to where you can pipe decorations on them like others? Love it and can’t wait to give it a go! yes it will be a huge time saver for that, and yes you can pipe over the base color to make them more decorative. I am wondering how these dry. Are they much like royal icing? I’m excited to try this, but have some edible images to attach to the cookies. BRILLIANT idea!!! I can’t wait to use this idea — SUCH a time saver! I think this was already asked, so sorry if it’s a repeat — can you clarify if this dried rock hard like RI? the glaze icing dries hard, allow the icing to dry 12 hours before stacking. Great tip girl!!! They look great! You are so clever! Hope your shoulder feels better soon. Thanks 🙂 I’m keeping my fingers crossed the shoulder issue isn’t too serious. This is such a cool idea! Great for kids who have trouble piping as well. Thanks for the great tutorial. Wow, what a great and easy method. I am not a good piper so I really need to try icing this way. Would this same method work with Regular royal icing if the consistency is correct? I don’t care too much for the shiny glaze icing, I like the more matte look of royal icing. 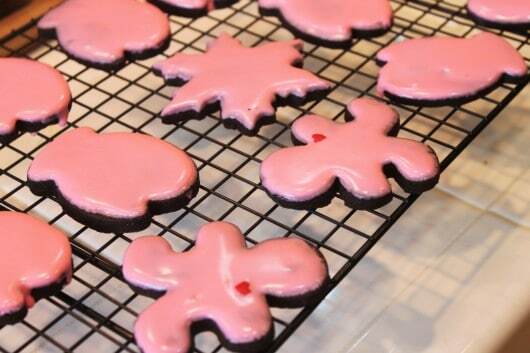 It does work very well with royal icing… just has to be a thin consistency – around 5-7 seconds. The only issue you might encounter initially is air bubbles. If you use a scribe or a tooth pick to just run through the top lightly it helps with some of them. Also leaving the prepared icing on the counter (after banging it a couple times on the counter) for 30 mins or so makes the bubbles rise to the top and the toothpick trick helps pop them. How cool is this? I am so trying this ASAP! Thanks for sharing. I just found you on facebook and I just love your blog. Have a great day. Diane, this is such a fun post! What a great idea for those struggling with a piping bag and also great for kids decorating! They look beautiful too. So cute! 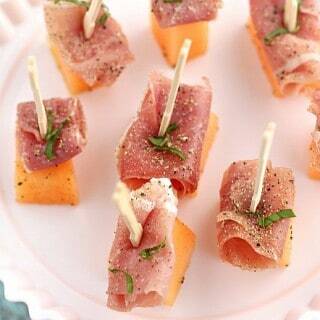 Now that the decorating part is so easy, it should make the eating part even better too! Great tips! Hope you are feeling better soon! I can’t WAIT to try this. I use Glaze myself with Royal icing details and this will save SO MUCH TIME!!! Thank you. I couldn’t believe I hadn’t thought about it before 🙂 it saves TONS of time. Exciting News! Thanks for blazing the trail for us! You are a brave cookie diva and a kind soul to share your creative genius! I am new to your work and saw it for the first time today at SweetSugarBelle..I am so glad I found you!! I will be making cookies this way today, Merci! great idea, I only use glaze, so I will have to try this for sure. I’ve have only ever done this with round cokies! I had no idea it would work as well for other shapes too!! I used to have the darndest time making my circles round and this always worked perfectly for that! I am going to have to try this with other cookies and see how much faster it makes the icing process!! I love that you shared this, “Necessity is the mother of invention.” I’m sure there are others out there who suffer from time to time with the carpel tunnel…this will be a good technique for them as well. Hope your shoulder gets better soon, and thanks for sharing. I have a glaze question: Do you use 4 cups of powdered sugar or 1 cup to 1 T corn syrup? I see two different amounts (one here and the other on the Lemon Poppyseed recipe. Thank You Diane!! Going to try this soon, hope my cookies turn out as good! So clever! Found this via Pinterest, and had to comment. Thanks for sharing your tip! Just tried this with mixed results(I am not a professional).had to add much more than the 2tb of water and I think it was still too thick. I was afraid of it being too runny! yes the consistency of the icing is key. Once you find the perfect consistency for “you” to work with, it goes so fast. If it’s too runny and drippy, add more powdered sugar, if it’s too thick for you then yes you will need to add more water. Lots of variables on icing, temperature also I find plays a part, a hot kitchen=runny,cold kitchen=thicker. 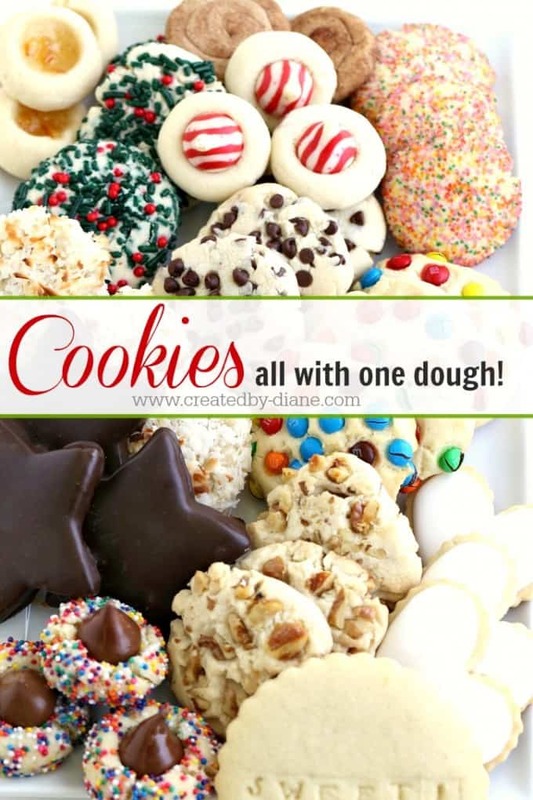 Since it’s in a bowl it’s very easy to add what you need, mix it up and try another cookie. I hope you find the right consistency that will work for you 🙂 Whether you are working with the glaze icing or a royal icing it’s take a bit to find your way, but once you find it, this is an easy way to coat cookies. I used the stick to remove the bulk of the icing I didn’t want to remain on the cookie, no I didn’t scrape the cookie, I held the cookie about 1/4 of an inch off of the stick and let the stick take the excess off (while leaving plenty of icing on the cookie) once you try it, I’m sure it will make more sense. This is genius! Thank you for sharing! I used this technique this weekend, and linked it back to you. Thanks! I’m so glad you used it, and yes it’s not as precise but certainly goes fast 🙂 and is easy on my shoulder. Thanks so much for linking back. Ok, I feel silly asking, but you mention that you dip the top edge of the cookie in the icing. Does this mean you don’t dip the entire front of the cookie in the icing? When you hold the cookie over the stick do you just hold it in a stationary position or do you move the cookie back and forth over the stick? Obviously, I’m a royal icing newbie…. Do you know if you can frost cupcakes the same way you did the cookies, I would like to do that if it will work!!!! OH , Great, I am having a Church Valentines Banquet, and I am putting cupcakes on the dessert table, Cant wait to try this!!! thank you so much. How did you get the icing so red? I know its off topic, but I’ve never been able to get a real red. I really want to try this too. Oh I forgot to ask, are you using Americolor food coloring and not getting it red enough? or are you using a different food coloring? HI I have the same question as Lisa, above… no matter WHAT I do, I cannot seem to get red icing !!! I’ve tried everything ! Also, I am a tiny bit confused regarding the stick too ! If the cookie doesn’t touch it, why use it at all ? 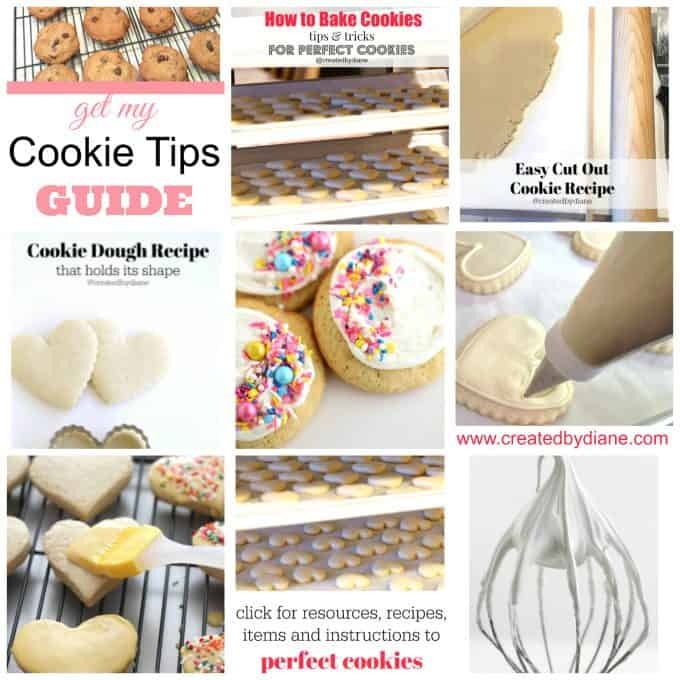 Thanks for any help with this, I love making cookies and always looking for easier ways to decorate them… yours are fantastic, well done Diane ! Because it helps get off all the excess icing without messing up the cookie 🙂 and you don’t have to stand there for three minutes letting each cookie drip the excess icing off either. Once you try it you’ll understand why it’s there. Red Icing= I most often use super red, but I have other red colors from Americolor. My question is are you using Americolor food coloring and not getting it red enough. I don’t have any trouble with it, it’s the only red I use. I use at least 10 drops in 2 cups of icing. I used your bakery cookie recipe and this recipe/method for V-Day cookies to bring to my daughter’s daycare. They turned out amazing! Even the cookies that got a little well done were super yummy! And, I did run out of powdered sugar, so my icing was a litte runny, but I managed it so much better with that rubber-banded stick (chopstick for me) method ;). Thanks! I’m so glad they came out great!! Yea I have a tendency of running out of powdered sugar too, no matter how many pounds I have on hand 🙂 Glad you like the “new” method of icing cookies, I did some today too and love how quickly it goes. Happy Valentine’s Day!!! I just found this on pinterest and came here in a flash. Wow I love what you’ve done. Makes so much sense. A really great tutorial. I could have used this last week with the Valentines cookies. OK a couple of questions…..I have never seen americolor. Where is it usually sold? Do you have to order it or do they have a website? Also I detest royal icing. Cookies are next to inedible with the icing being so hard. But I do like the glaze idea.I know you said it dries hard but can you still bite into it without cracking your teeth? (smile) I’m going to try your cookie recipes too. Everything sounds so good. Thanks for this great tutorial. Its one of the best cookie ones I’ve ever seen!! So easy and beautiful! Americolor is available to me at local cake supply stores, they do have a website and I know it’s also available on Amazon. Stopped by from a link on Sugarbelle. This looks like a great technique. I am brand new at decorating cookies, and am trying to read and try everything!! I am excited to give this a try on my next batch. Thanks for such a great tutorial!! genius. I love this because pipping is a little tough and this makes sure everything is even and smooth. Love it! 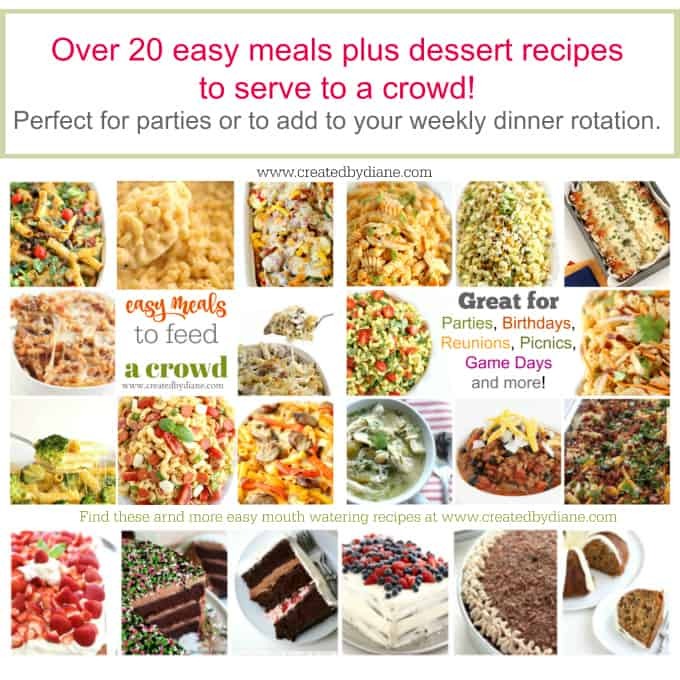 You have a lovely blog….and i am totally drooling here seeing ur beautiful recipes and the clicks and as well as the easy techniques you use…..WOW! I want to ice my son’s race car cake with a nice smooth finish…do you think this would work to cover it without hiding the details? Its a Disney Cars cake, one of the Wilton molds and I so do not want to have to spread the icing! I don’t think glaze icing wupill give you he result you’d like, but m not sure, if it’s poured over a scone, the majority does slide off, so it may work, I almost think microwaved canned frosting may pour easier and it creamier and I think a better topping for cake. Hi, would it be possible to get your End for all chocolate cookie recipe? Sounds wonderful! Thanks. Hope that is what you needed. Yes I’m sure any item placed over the bowl to help drain off extra icing will work. Staws, popsicle stick, chopstick, could work too. Me and my family made this icing to top our sugar cookies for Santa this year. It worked great and was delicious! I use this same basic icing and use a NEW paintbrush to paint the icing on the cookies. it works really well and you can paint to the edges but not have it run off the cookies. I worked in a bakery for many years and this is the way we always iced our cookies. We used meringue powder instead of syrup and a clean finger to help with removing excess icing. Thanks for sharing. Diane, I just ran across your great tip! I haven’t decorated cookies in MANY years. Now that I have a little 4 month old granddaughter with a baptism coming up, I’ll be making christening gown cookies. I’ll use your glaze recipe and technique, and then I’ll attempt sweetsugarbelle’s lace technique. I admire you for pushing yourself through the shoulder pain and adapting. I’ve been dealing with elbow/shoulder pain for a year, so I can totally relate. I hope your shoulder issue has now resolved! Thank you, thank you, thank you for being so generous with your talent. You are an inspiration to me. Diane, I make this frosting only with milk instead of water. After my cookies dry they seem to get spots on them. Is this because of the milk? They dry nice and smooth but the spots are kind of unsightly. Yes, it is because of the milk. If you get spots with water, it’s because it’s humid usually. Milk can leave swirls and spots easily, that is why I prefer water. Helpful? Try life changing. Thank you! LOVE this! I long to be able to decorate cookies. I’m afraid my piping skills leave a little, okay, a lot, to be desired. Dear Diane, how fast will the royal icing harden on the dish? Do you need to stir it between cookies so that it remains usable? Thanks for sharing such a great idea! Kind regards, Mariana. You are ingenious! 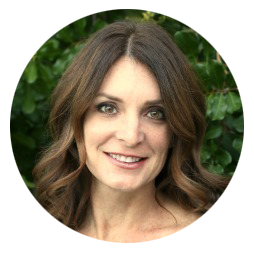 This is so clever I am excited to try it out!…p.s.your blog looks beautiful. THANK YOU, THANK YOU, THANK YOU!! I iced 140 cookies today using your tip. It was amazing. Saved me so much time, and they look better (in my opinion) than the outline flood method! So thank you again for sharing!!! This will now be the only way I will ice cookies! So happy to hear it worked well for you and I agree it’s a huge time saver when icing lots of cookies! 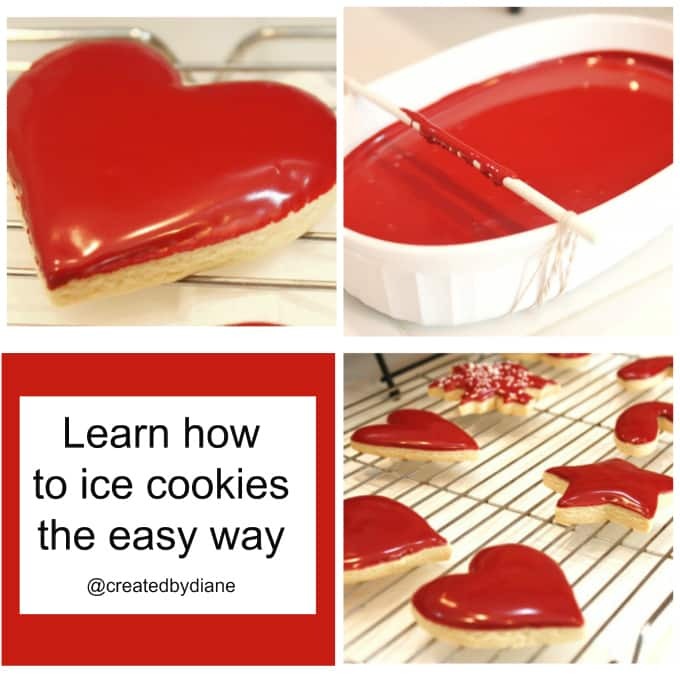 Hi Diane, I have seen this method done in a bakery where the lady was glazing tons of cookies – I have always wondered how they did it, thanks for posting this(long ago) haha. I have a birthday party coming up and need to ice about 200 cookies. I have always used royal icing and the piping method but I am going to try this glaze method since the amount of cookies is so much. I want to save as much time as possible. I was wondering, after letting them dry completely (I also am going to pipe details on top with royal icing after) is it ok to freeze the completed decorated cookie until the party? I am planning to do them a week in advance. On the Bake at 350 blog she states it’s ok to freeze royal icing decorated cookies but I am wondering about this icing. Have you ever tried freezing cookies? I have frozen cookies after icing them to see how they are. The glaze iced cookies I froze for a month, were defrosted and tasted just as if they were just baked and the glaze icing was nice on all of them. I’ve also baked and frozen the cookies, thawed them and then iced them will good results too. Any tips to keep colors from bleeding? I use Americolor colors and find I only have bleeding when the icing has extra water that was not mixed fully together. If it’s black or red and the cookie will have that color against another color I allow it to dry first. Also using a small space heater to dry them faster works well. The more practice the less bleeding I’ve had, sad but true. I may have missed it, but can you continue to add detailed decorating after cookies have been iced/glazed? Amazing tip. Thanks for sharing! Yes you can add details on the wet icing if you want a wet on wet application or wait until the first layer dries before applying details to have a raised effect with the icing. Not sure if you still read this, but I am at a complete loss with your recipe. I end up having to add about 4-5 (maybe more) tablespoons of water in order to get any sort of liquid consistency. Otherwise it’s just clumped up powdered sugar. Am I doing something wrong? It is difficult to mix, but before you add all that water….try a tiny whisk or mini spatula and just keep mixing it. If you add all that water the icing will slide off the cookies, it’s not supposed to be runny. Add a very small amount of water at a time and mix and mix and mix. putting water in a bottle that drops comes out of is helpful, an eye dropper too. This video I did may help https://www.youtube.com/watch?v=hgvDhLFc1Mg let me know how those tips work out for you. 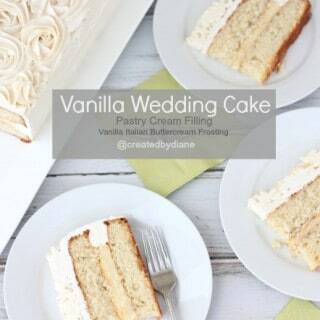 I would love to learn how to make this kind of frosting. It appears to be a faster method than the way I’ve frosted cookies for over 50 years. Even at my age, I still bake lots and lots of cookies and one is never too old to learn. I have all but given up on making cut cookies. I’ve tried every recipe under the sun, let the dough sit in the refrigerator for hours, and they still will not hold their shape. I get get big blobs of odd shaped cookies! Can anyone help me? Thanks in advance! I make hundreds of cookies at a time and this recipe holds its shape. I have many examples of cut out cookies here on my site. This is an easy sugar cookie. There are a few tricks to getting the cookies to come out “perfect”. The temperature of your oven matters. 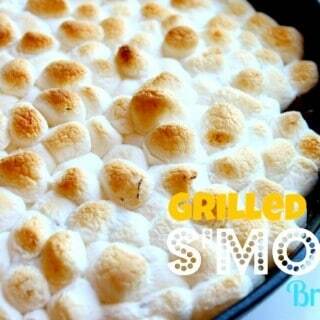 Get an oven thermometer and test the temperature. Preheat your oven for 20 minutes before putting the first tray of cookies into the oven. Mix the cookie dough according to directions, I use a stand mixer. If you aren’t using a mixer, let me know and I can help you know when exactly it’s mixed well. Overmixed cookie dough make cookies tough. The temperature of the butter is important, setting it out at room temperature 68-70 degrees for an hour is ideal. The butter you use can also play a roll in the outcome of the cookies, more water in the butter means more steam and more puffing. But the better quality butter if you have trouble. Rolling cookies evenly minimum 1/4 inch, use a ruler to check, flour cookie cutter before cutting transfer the cookies onto a baking sheet (the sturdier the baking sheets work best I find) thin baking sheets get too hot and the butter in the cookies melt to fast and the cookies spread that way. That should answer most questions, let me know if you need any more information. HERE is a link to a sugar cookie recipe I love and I hope you will too. 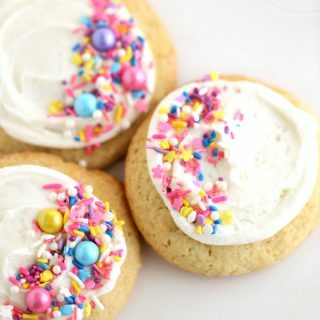 https://www.createdby-diane.com/2011/07/sugar-cookie-recipe.html I just made 200 cookies this week 🙂 good luck! I always struggle with making my cookies look pretty, I will have to try this! Thanks for sharing. Oh my word! You are a goddess! This actually works! It is amazing and saves so much time! Thank you for sharing! The video was very helpful to see the process. Thank you, thank you, thank you! I find it’s best to bake freeze then thaw cookies, and ice them a couple days before needed. I wouldn’t make or freeze the icing ahead of time. I have iced and frozen cookies with very good results, they need to sit at room temperature for at least 24 hours before being individually wrapped and frozen. I froze batches to test to see if the cookies tasted fresh and yes, two months in a regular freezer (wrapped individually) they tasted as fresh as when baked and the icing was perfect. The icing color can change a bit if you do colors like, red because there is usually so much pigment in the icing. but lighter colors stayed exactly the same as before frozen. Great idea! If you don’t add food coloring, does it dry white? I am looking to use this to frost bowling pins. Yes the icing is white, not opague, but more of the look of a glaze icing (like on a donut) if you want it white-white in color add white food coloring (Americolor makes it, available at baking supply stores or online) then the white will stand out and be bright white. I have made sugar cookies iced with royal icing recently and they just didn’t have the taste I remember. I found this recipe again for the glaze and see it’s different than standard royal icing and I liked this one. So I have a question. I have to make dinosaur cookies for my daughter’s class for her birthday. I want to decorate them properly so is this glaze able to be piped on if it’s thickened up a bit first? Or can I use this as the color fill icing? Sorry, I’m commenting years later but I never have been able to get the taste right and now I know why! I wasn’t using royal icing the first time, I was using this glaze! You can use it to outline and flood cookies, just adjust the thickness/thinness with water or powdered sugar to you liking. You can flavor the icing with extracts to create the flavor you desire as well. Gel coloring will be better than water based coloring. I can’t wait to try this tomorrow night on the various cookies I made for my nephew’s christening on Sunday. Can I pipe for wet on wet design in the same consistency? Yes, if it’s a little too thin add a tablespoon of powdered sugar and test consistency again. You can test on wax paper or small shallow dish, to see how well the two consistencies work together before putting it onto cookies. Glaze icing is softer and better tasting than royal icing. Once it hits the mouth is softens, it’s not crisp like royal icing. Think of a glazed-donut for example, firm but not rock hard. It does dry hard and you can stack the cookies after 24 hours. You can add additional flavorings if you prefer, more vanilla, almond, lemon extracts etc. This technique is awesome!!! I just finished 3 dozen cookies so fast. I started with a bottle of Wiltons cookie I find then made a small batch of the recipe. The cookie stick is necessary to catch excess icing. But, I just held it. This is awesome for my family kid parties that do not need a polished look. Yay!! 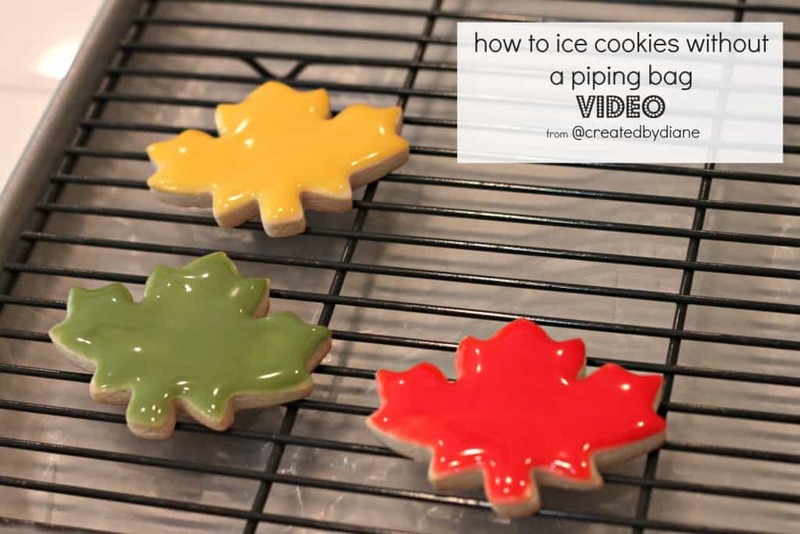 How many cookies like the size of the leaves can you ice with one recipe? I have an order of about 100 and I’m not sure how much supplies to buy and charge for! Thank you for this it will save my brain! I normally do cupcakes, so this is a new world for me! I estimate I can ice 36 cookies per batch, depending on the size cookie and how thick the icing is. I can’t wait to try this tomorrow. I have a question about time for consistency check. The video link for consistency said about 10 seconds for the glace to settle. The description for the red cookies said 5 seconds. Did you find the 5 seconds worked for you? Thanks for sharing! Most often I start with 10-second icing and adjust it from there as needed.Add a couple drops or water or a teaspoons of powdered sugar if I see I need it thinner or thicker. Can I freeze the cookies after icing them using this method? Will the icing still be nice when they defrost? I’ve had great luck with freezing iced cookies, with white icing, colors can change when frozen and defrosted. I allowed the cookies I’ve frozen to “dry for at least 24 hours, but sometimes longer, then wrap them individually in cellophane type bags for cookies and tied them with a ribbon, they defrosted nicely at room temperature. If these are for an occasion, you may want to do a test batch, freeze and thaw on the timeline you’ll need them for. (the longer they are frozen can adjust the icing too) I tested white iced cookies and defrosted and tasted them at 30 and 60 days and they tasted fresh and did not crumble like some frozen cookies do with more moisture. I did freeze red iced cookies, but the icing looked a little spotty. If you’re doing a deep color, maybe bake and freeze cookies and then add icing when they are defrosted close to the day of serving. Thankyou so much for the info! Super helpful! How long will these iced cookies keep? How long before the event can I make them? Do i dry them at room temp or in the fridge? Then do i store in fridge? Individually wrapped cookies stay fresh the longest for me. If I stack them in a container air gets to all the cookies each time I open the container, so they won’t stay as fresh as individually wrapped cookies. I typically start 4 days out from my serving day, bake all cookies on day 1, on day 2 I ice the cookies, day 3 they continue to dry (on the counter, do not refrigerate or the icing won’t set up as well) I do not refrigerate my cookies unless I’m holding them over for a few days to give to someone, I think cookies are best served within a week, If I bake ahead of time, I freeze them. 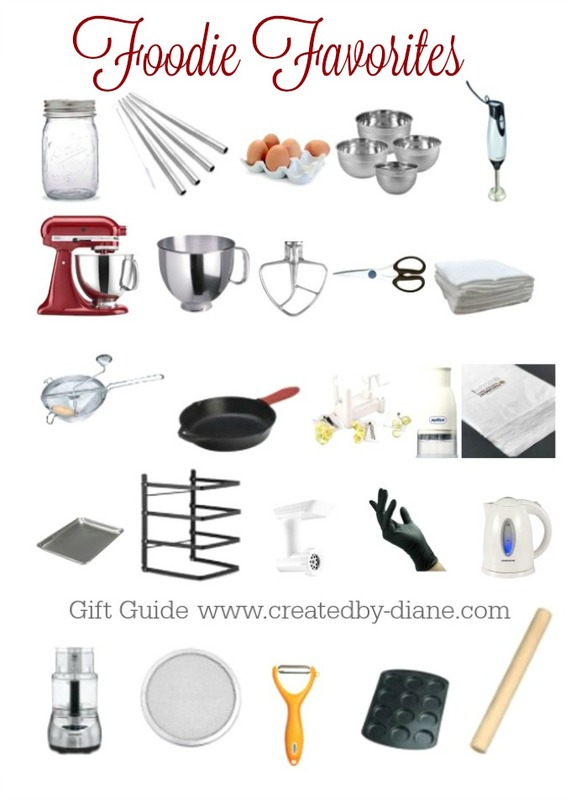 (More info on cookie baking here https://www.createdby-diane.com/2017/09/how-to-bake-perfect-cut-out-cookies.html ) On the 4th day, I serve the cookies, or wrap individually if it’s an occasion/event, or place them on a platter and serve. Feel free to message me with more questions if you need more information. Also tell me how many cookies, how experienced you are at baking cut out cookies, what the event is etc. I can then be really clear on the answers. Wow, this is a great tip! Those cookies are perfectly adorable. You’ll need to add drops of water as needed to get the consistency you need. Climate does affect the results, humidity etc. Each time you make it depending on whether it may be slightly different. Just add a drop or two of water and mix well and test consistency. After you get the hang of it, you’ll see it’s not complicated. Give it another try it’s a really great easy method to ice cookies and other baked goods. Think of a glazed donut, the glaze is thin but coats completely, for cookies you’ll want it slightly thicker so it doesn’t run over the edges. This recipe for the icing is not correct. 2 TBSP of water wont make 4 Cups of powdered sugar anywhere close to liquid. Please review the recipe. You can certainly add more water as needed. I make it as written all the time, with the addition of vanilla and food coloring and corn syrup there is more liquid than just the 2 tablespoons of water. The icing should be fairly thick and not “liquid” unless you want it to completely run off the item you are putting the icing on. Give it a try as written, then add a few drops more of water if needed. It is really helpful to ice cookies without a piping bag, I always struggle with getting the icing smooth, but with your info and tips and the video I know I’ll be able to do it well now. I could kiss you for this tip!!! Found it a couple of days ago and tried it today to see if it really works before doing it with my 8 year old granddaughter, OMG it does!!!! Thank you soooo much!! !